OPEN HOUSE SUNDAY (4/28) from 1-4pm! Welcome home! 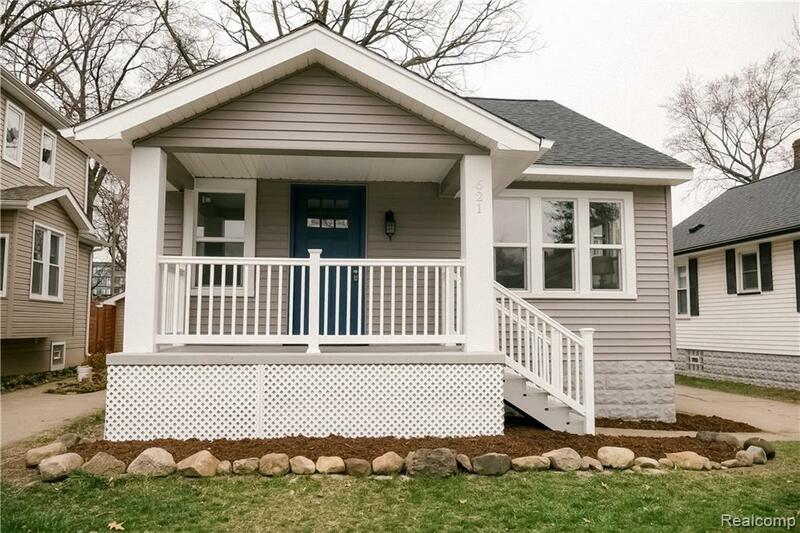 This beautifully remodeled bungalow walking distance from downtown Royal Oak is ready for you to move in! The open concept of the living room, dining room and kitchen offers tons of natural light and makes this home great for entertaining. Brand new kitchen offers stainless steel appliances, granite counter tops with a nicely done subway tile back splash. The entry level has two nicely sized bedrooms that share a full bath. Upstairs you will enjoy a master bedroom with recessed lighting and a large master bathroom with a stand-up shower. This home boasts a brand new 1 car garage, furnace, AC, windows, hot water tank, roof and siding. All the major items have been taken care of for you which makes this home truly move in ready!